A gloomy outlook for every day of the year and guaranteed to raise a smile. A disappointing way to view the year ahead. Other gifts to the Eeyores of this world include notes towards a tweet everyone will ignore, a laughable to do list and notes towards an abandoned screenplay. Even if you currently use the diary function on your computer or phone, I cannot recommend the Disappointments Diary enough. It’s even got a section that offers up translations of useful phrases such as ‘I have destroyed my hire car’, in several languages including Mandarin. 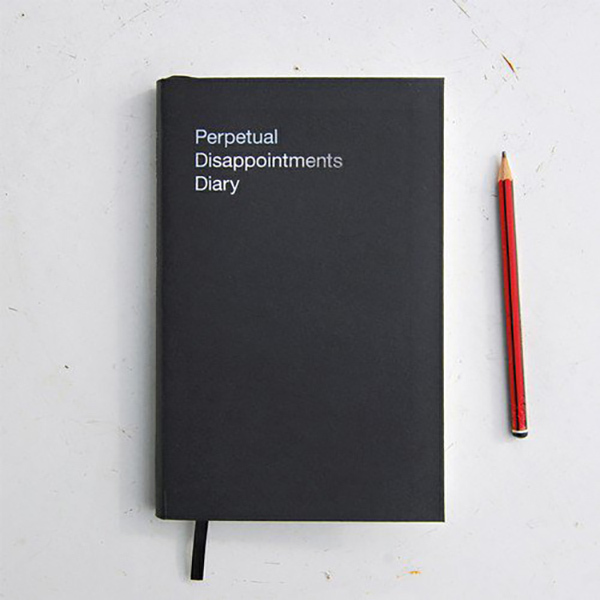 Follow this link to get your hands on your very own Disappointments Diary. It’s perpetual, so you can start using it, no matter how late in the year you get hold of it. But hurry. It’s selling out fast. It would be the ultimate irony if you were to suffer the disappointment of not being able to buy a copy for yourself.